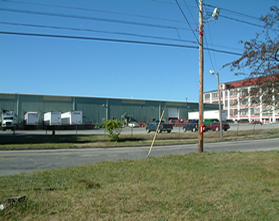 One-story high-bay metal building with three truck doors,and rail siding. Ideal for storage with 22′ clear height. On-site parking for 25 cars. Light industrial area on the perimeter of the city, suitable for warehouse, light manufacturing, distribution, abutted by residential. Convenient to outer Forest Avenue at Morrill's Corner, accessible from Washignton Avenue.